It hardly seems twelve weeks, let alone twelve months, since we were getting ready for Christmas 2009 but here we are again at the end of another year. As it has been for many, this has been a challenging year but, ultimately, a successful one. The highlight of the year unquestionably was the Ryder Cup at Celtic Manor. Having spent the past ten years watching Ross, Alex, Matt and Will work so hard on this, it was a huge thrill to see all their hard work finally be recognised. Despite the weather, the course challenged the best players in the world for four days and provided those lucky enough to be there some amazing viewing, even if it was a little muddy underfoot. Beyond that, we’ve been fortunate to sign a number of new projects which we’re very excited about – next year should see us working in some new countries, which always adds to the interest of a project. And construction should start on three or four sites over the coming year. Robin: Hosting the Ryder Cup committee’s site tour of our forthcoming golf course at Tres Cantos, which is the proposed venue for Madrid 2018. Sarah: Arriving at the top of the hill down to the Twenty Ten Course at Celtic Manor on the Tuesday morning. The sun was shining over the valley and I thought WOW, how lucky to be part of this. Dave: Seeing Ross have his first ever hole-in-one……pity it was his second ball, off a mat and to a temporary green! Hole halved in three. Alex: Cycling from the office in Sunningdale to Celtic Manor the week of the Ryder Cup. Gary: The highlight of my year was getting to attend the final day of the Ryder Cup at Celtic Manor to experience the electric atmosphere and dramatic finish as Europe were victorious again! Shara: Standing overlooking the 16th green at Celtic Manor 2010 Ryder Cup – last few hours of play. Matt: Being lucky enough to be at Celtic Manor for the 2010 Ryder Cup and seeing my Site Map around the course and people actually finding it useful! Ross: The last day of the Ryder Cup and a victory for Europe in the sunshine. On behalf of everyone here, we wish you all a happy Christmas and a successful, healthy 2011. Having graduated from the EIGCA education program but as of yet not working full time in golf design, I know the importance of keeping my eye in. So I was extremely grateful that the guys at EGD accepted me in to their office for a week to set me a challenging task, based on one that they had faced themselves a few years prior. The project at hand was to redesign a new eighteen hole golf course from the remaining land available from two previous courses. Although the work had been undertaken by Ross McMurray, it was Robin Hiseman that would be my primary host and whilst he explained the brief to me, it immediately became clear that it would not be entirely straightforward: Firstly, the land had some of the severest elevation change that I had encountered. Secondly, redesigning golf holes over a site where existing holes are in place creates a very different set of problems than at a green-field location, not least because it is harder to visualise the land without what is there already. Still, with a bottom line objective of routing the “best members’ course available on the land”, I stuck at it, going through countless iterations of possible outcomes and trying to fit the most pleasing jigsaw together from the options available. Finally I made some fundamental decisions which left me with two solutions, one of which I opted to develop in to an overall master plan. My final day in the office was spent putting some shape, strategy and life in to the golf course and I’ll spend some further time back at home creating some detail to the design with some grading plans and green designs. The week culminated in a visit down to the course for a match of the utmost seriousness. I think it better not to reveal the magnitude of my loss against Mr. Hiseman but the fact that we were shaking hands at the furthest point from the clubhouse perhaps hides a clue. Fortunately, I’ve had to invent a whole host of new excuses to account for my recent erratic golf; so it was pleasing to inform my opponent that I had been spending far too much time comparing the as-built course with my own routing from the drawing board. How was I supposed to concentrate on winning the game as well? Needless to say, my warmest appreciation is due to Jeremy, Robin, Ross, Alex and all those in the office that gave their time up to help me. Go raibh mile maith agaibh. From an early age I have always been fascinated by the game of Golf, but I have developed an even more keen interest in the actual architecture and design of golf courses over the years. Therefore designing and constructing single golf holes became one of my favourite spare time activities. I really wanted to get closer to this profession in some way. Therefore I am very thankfully to have had the chance for a 2-week visit at EGD. At the office of EGD I felt very comfortable the second I entered it the first time. This was certainly due to the friendly welcome of the team but also because I was positively surprised in a way that this kind of work, the architecture and design of golf courses, really existed the way I imagined it would. As this was my first visit at a golf course architecture company my entire image of this profession was based on research and theory. People also have always deflected me from this profession before, who doubted the existence of this profession, and when I finally could convince myself of the contrary this made me even happier. At EGD I was learned about the whole processes happening in the build up of a golf course. By designing my own golf course project I was learning about fundamental skills and techniques a designer encompasses. The first of many things I have learned was, the appropriate line up of golf holes to form an 18-hole golf course appropriate to the given landscape. Movement of contours/earth to form a difficult but fair golf course for every golfer belonged to the more challenging and exciting tasks. Another important aspect I was taught is that there is not just this sporting challenge, consisting of a combination of fun and creativity; there also is responsibility to and awareness of Nature to care about. Apart of working on my project, I was also able to have a look around inside the office and get some views on the work of the designers. A range of little conversations gave me a deeper understanding and made me gain vivid impressions of golf design and the individual tasks everybody has in the office. It was especially exciting to see how plans get implemented into reality and how the individual steps are undertaken until the actual golf course is ready to be played. To get an idea of the periods of time the individual work stages take was equally impressive. The designers of EGD were working on projects in different countries all over the world. I noticed that the design has to adapt to the individual conditions according to the location. The atmosphere within the team was easygoing, relaxed but truly serious and professional. I felt well-integrated in the office and with all those details and empirical values I could pick up here, I was given the inspiration to continue working on my dream of becoming a golf course architect one day to come true. Additionally being invited to trips to social events like cricket matches or rounds of golf for building site inspection, made me feel being part of this unit during my stay and provided me a closer look into the work of a golf course design company. Graeme McDowell produced a simply brilliant victory in The 2010 Celtic Manor Wales Open after an exhilarating final round. Following the event here’s what people had to say about the Twenty Ten Course. MARC WARREN: The last few holes coming in are a natural amphitheatre and if you have 40,000 people along there it will be fantastic. But it is a great venue and the course is in great condition. You just can’t see why it won’t be a success here. COLIN MONTGOMERIE: I think it stacks up tee to green as one of the best courses we play right now and I am not the only person who is saying that. I have read the reports from other top players and they feel the same way. Very, very few courses get as less criticism as this if you know what I mean. This is fabulous tee to green. 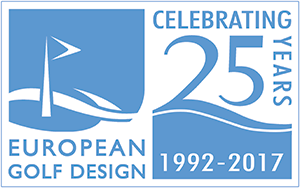 The changes that have been done not just by myself but by EGD (European Golf Design) have been fantastic and have proved worthy. I think the pin locations are going to be similar to those that we play in October and I think the pin placements need a lot of thought, it is not just about length here, you need to be in the right side of the fairway for certain pin positions, it is a great set-up. I am biased in some ways but, as I said, I am not the only one saying this, a lot of the top players are saying exactly the same thing. This is a great test of golf and people are enjoying playing the course, they are enjoying the challenges of certain shots into tight pin locations and the challenge of hitting the fairway is number one because you can’t get near the pins if you’re off the fairway. It has proven itself over the last four days, yes. GRAEME MCDOWELL: The golf course is magnificent. They really have a successful, successful golf course here. I love the way this golf course sets up. I drove the ball fantastic this week, and that’s what you’ve got to do around here. The fairways are reasonably generous targets in places about you if you missed them, there was some horrible, horrible rough out there, really thick, wiry type stuff. This golf course has all the length you want and I think they have a fabulous amount of tee options. TERRY MATTHEWS: All of the players say they really like the course. It’s really hard to get everybody in agreement on things but there is pretty much an alignment of opinions. The European Tour have been all over it and its development has been very technical. OLIVER WILSON: I felt that it was built to an American design, though situated in a Welsh valley where the ball doesn’t run so far as it does in the States. But now I am a complete convert and convinced it is going to produce a very exciting Ryder Cup. Do not get me wrong, it is still a very tough and strong course. But they have now got so many options with different tees and pin positions it can be adapted to suit the weather. The Welsh Open might not normally set pulses racing amongst all but the most die-hard of golfing aficionados, but this year’s event in Newport, South Wales will attract a little more interest in golfing and indeed wider sporting circles. For the third year in a row, the Open will be staged on the Twenty Ten course in Celtic Manor, the first course in history to be built specifically for the Ryder Cup, which takes place at the same venue from 1-3 October this year. Completed in 2007, the splendid TwentyTen course, one of three at Celtic Manor, was designed by European Golf Design (EGD), a joint venture between the European Tour and International Management Group (IMG) established in 1992. Planning for the course started as far back as 1999, construction began in 2004 and was completed two years later. Managing director of EGD Jeremy Slessor explained to JOE the dynamics of building a course specifically for a once-off event that will not only attract thousands of fans to the course but will be viewed on television by millions worldwide. “It (the Ryder Cup) is like a normal tour event on steroids,” he says. “Space was a primary concern. Space for spectators, for the village, for hospitality, for the media, for bus terminals, for contractors compounds, for TV compounds, those sorts of things. The result of the EGD design, combined with the input of engineers, ecologists, archaeologists and the European Tour Staging Department, is a par 71, 7,493 yard course in Wales’ Usk valley that offers spectacular views of the area towards nearby Caerleon, which was once the site of a Roman legionary fortress. Water is a threat on a significant number of holes and there are also plenty of trees on site to punish anyone wayward from the tee. As well as building the course to be able to deal with the important logistical elements of staging an event like the Ryder Cup, the TwentyTen course has, according to Slessor, specific features built in that will suit the match play format of the competition. “You can’t ignore the fact that the course is going to hold the Ryder Cup once, but certainly, there was thought given to how holes might play coming down the stretch. Therefore, on the last five or six holes there’s certainly a lot of risk and reward opportunity. European captain Colin Montgomerie has made clear his wishes that his players play the Welsh Open so that they can get a feel for the course ahead of the Ryder Cup, but so far has been hit by the withdrawals of stellar names such as Ian Poulter, Lee Westwood, Sergio Garcia and Ireland duo Padraig Harrington and Rory McIlroy to name but a few. Montgomerie will play the event himself, however, and should be familiar with the course given that he had a hands-on role in some of the modifications and refinements that have taken place at the Newport venue. “Colin has been involved over the past year or so in terms of looking at where there were opportunities to make some subtle little refinements,” says Slessor. “In a couple of places, he wanted it so that the penalty of – I won’t say hitting a bad shot – but not hitting the perfect shot, was increased. It was little tiny tweaks like that he was involved in instead of wanting to add five additional bunkers or taking a bunker away or anything like that. “It’s quite tough to pick out a stand-out hole,” he says. “I think that each hole has got something to offer; we don’t design signature holes. That’s pointless, you take a huge amount of money and try and make one hole good and it’s to the detriment of the others. “Each hole adds to the flow of the course, each hole has a slightly different challenge to it but I guess that as you get into the round, certainly with the Ryder Cup atmosphere, the pressure will start to build the closer you get to the Clubhouse because the opportunity for taking a gamble becomes greater. Only one question remains for Slessor, then. Will Colin Montgomerie be repeating the K-Club antics of Ian Woosnam in 2006 and downing pints of Guinness after lifting the prestigious trophy? Or will it be those pesky Americans running wildly onto the green to celebrate with a man waiting to putt, like Brookline in 1999? Considering that he’s been involved intimately with every nook, cranny and divot on the course, we’ll take Slessor at his word. Both Gary and Stan made the trip, Gary was attending the KPMG Golf Business Forum being held at the beach resort of Belek on Turkey’s South Coast and Stan was there to meet up with Annika Sorenstam for a site visit to Annika’s new 18-hole project, Olivion Golf Resort. The developer Belek Emlak ve Ticaret, will be creating the first golf course in this region with freehold residential units available for sale. The Olivion development will also include a boutique hotel and sports academy. Turkey has fast become one of the most popular golfing holiday destinations in Europe and Belek is one of the centres of Turkey’s tourism industry. Olivion is located just outside the Belek resort and is approximately 45 minutes from Antalya international airport. The site is a mixture of agricultural land and olive groves that rise to form a hilly and rolling landscape. The design focus is to incorporate the olive trees and create environmental wetland areas into the new golf course. Annika, Stan and the Management Team spent several hours walking the site and discussing the course strategy, bunker placement and green positions. Regarded as one of the greatest ever female golfers, Annika is able to draw from over her 15 years career playing on the worlds greatest golf courses. Combined with Stan’s design experience which includes the acclaimed PGA Golf de Catalunya, Dubai Creek Golf and Yacht Club, The Montgomerie at Carton House and The Faldo Course at Sporting Club Berlin, Olivion is destined to be one of the top golfing experiences in Turkey. Annika and Stan have previously worked together on another of Annika’s golf course projects at Euphoria Golf and Hydro in South Africa. Opened in 2008 Euphoria is already rated as one of South Africa’s finest courses. Gary represented EGD at the KPMG Golf Business Forum. The forum was attended by over 300 industry professionals who were there to discuss the latest trends in the golf business, amongst those speaking was former Open champion Greg Norman. Attending the conference on Friday morning Annika was awarded the Golf Entrepreneur of the Year Award in recognition of her commitment to the game and her ability to expand the Annika brand into new areas of business. The forum was brought to a close with an afternoon golf competition and barbeque held at the EGD designed Montgomerie Course at Papillon Golf Club. The event was a big success and was a good opportunity for Gary, having designed the course with Colin Montgomerie, to catch up with a lot of friends and colleagues that had been involved in the construction of the golf course. EGD’s designer Stan Eby (left), Annika Sorenstam and the golf management team visit the new 18-hole project, the Olivion Golf Resort, in Belek, Turkey. I had worked in live television sports broadcasting for over twenty years as a freelance editor. I was fortunate to have worked on World Cups, Summer & Winter Olympic’s and World Championships in a multitude of sports. I had travelled the globe and spent a large amount of time out of the United Kingdom. Two years ago I decided upon a career change, and decided the best way to facilitate my plans was to go back into education. I was accepted onto the golf management (sports science) degree course at Merrist Wood campus in Surrey in September 2008. The first year was successful and in September 2009 I was presented with my assignments for year two. The module that captured my attention was golf course design. As a result of this I contacted various design studios seeking an internship for the year, allowing me to learn and develop an interest in this area of golf which I had no previous knowledge of. This would also satisfy another module on the program, professional development within the work arena. Jeremy Slessor allowed me into the exciting atmosphere of European Golf Design at their studio, not far from Sunningdale Golf Club. I was impressed, what they thought of me I can only guess! However everyone welcomed me and made the entire experience extremely worthwhile. I was given the tour and introduced to Gary Johnston who would give me the benefit of his vast experience. What made things even easier for me was how much input the rest of the group gave me. The design team (Stan, Robin, Ross Dave), Sarah, Matt and Alex all offered help and I was given the impression that each of them wanted to see me succeed. A large open plan office allowed me to make myself at home behind a desk and get started. I have enjoyed my time at EGD. As a mature student this placement has proved to be perfect for me. There is a great deal of professionalism at EGD, along with a wealth of talent and knowledge. Everyone does their best to make sure each item of work is the best it can possibly be. My future plans are to utilise my previous experience and couple that with my new knowledge and work on Tournament/Event Management within golf. The degree program at Merrist Wood has a very good reputation, additionally I have been able to make many new contacts through my work at EGD. The weekly abuse about me being the only Chelsea supporter in the office ceased this week when I pointed out that Chelsea had won the Premier league again! A win against Portsmouth this Saturday and it will be doubles all round I presume? With the Wales Open only six weeks away, and the Ryder Cup a little less than five months after that, the finishing touches have now being made to the Twenty Ten Course at Celtic Manor Resort. Last week some of the staff here at European Golf Design had the opportunity to visit Celtic Manor and see first hand what has been going on. Over the winter Ross has been working closely with Jim McKenzie and his staff as the final few tweaks were made to some of the bunkers on the original holes to ensure that their style was consistent with those on the new holes. One of the most important aspects for us during the development of the Twenty Ten Course has been to ensure that there is a seamless progression between the nine new holes and the nine holes retained from the previous course. At the outset we were determined to make the bunkers on the new holes deeper and more penal with rolling grass faces blending into the flashed up sand to improve the visual aesthetics. As a result all the bunkers on the old holes have been remodelled in the same style by Jim’s team. Many have also been repositioned to improve their strategic value or reshaped to resolve other maintenance issues. European Ryder Cup Team Captain Colin Montgomerie has also been involved. Following a course inspection last autumn Colin suggested some improvements to the par 5 11th hole and subsequently Ross and Jim have coordinated some major revisions to the green surrounds. The bunkers have been made more penal and the entrance into the green tightened. In addition a drop off on the left side of the green has been carved out which will kick any ball missing the target on that side down and away from the putting surface, towards the water. As a consequence this relatively short par 5 will now have a couple of much tougher pin positions and the approach to the green will need a great deal more thought. Following other comments from Colin and feedback following the last Wales Open the opportunity has also been taken to adjust some fairway and rough outlines around the course to enhance the playing strategy. With the completion of the Ryder Cup practice area and the opening of the bridge across the River Usk which will link it to the golf course, as well as the installation of numerous new tarmac roads and pathways to facilitate easier access for spectators and vehicles, the last 12 months have been another hugely busy period at Celtic Manor Resort. The Wales Open which starts on June 3rd will be a great opportunity for players and spectators alike to see what’s in store before the big event in October. In these days of pre-prepared golf professionals, of young men who are already battle-hardened and media savvy before their short game is complete, it can pay to reflect on the way it used to be on the European Tour. Believe me – if in this mood – there is no finer companion with whom to reminisce about the good, daft old days than Michael King, or ‘Queenie’ as he is affectionately known to friends and foes alike. Yes, even his foes usually confess to an instinctive liking for the tall Englishman who blossomed briefly but well on the European circuit between 1974 and the mid 1980s. Interesting bloke, Mike. Along with a small waterfall of hair that seems to grow thicker as he ages, he always has carried himself with that easy charm so particularly accessible to a certain type of Englishman. My own early memories of him are of a pro golfer who stood out because he always seemed happy and he appeared to own a wardrobe consisting exclusively of the finest cashmere. These days Mike earns his living pressing the flesh of potential clients for European Golf Design, the course design experts owned jointly by the Tour and IMG and whose glittering portfolio of completed projects includes this year’s Ryder Cup venue at Celtic Manor. King himself has been signature designer on two of EGD’s projects, Ribagolfe II in Portugal and Marriott Worsley Park near Manchester. How he got to where he is today, however, is a story of good luck, bad luck and debilitating illness. It is also not quite as posh as many of us once suspected. Born in Reading to an estate agent father, he initially flew in the face of his insouciant image by attending state schools before heading off to the sports-mad Millfield School in Somerset. Here his dormitory head boy was JPR Williams (who, of course, became a legend of Welsh Rugby), while next door a certain Gareth Edwards plotted his own ascent of the old, biff-bash game. Despite such neighbouring peers, Mike’s game of choice was golf. He was good too, playing twice in the Walker Cup (1969 and ’73) before heading off to the City to play at stockbroking. His future, however, was rudely mapped out for him when he lost everything in the great crash of 1974. At 24 years of age he was broke. It was then that someone suggested he make use of the one skill he appeared to have, playing golf. So with the help of friends – names like Steven Evans, Eddie Healey and the late, great photographer Laurence Levy spill out of him as he reflects on the men who helped forge his life – he joined the circuit where, inevitably, he stood out and not just because he was over 6ft 2ins tall. Whereas the majority of pros back then seemed to have come from the hard world of club golf, King seemed to have lolloped his way onto the tour. Nothing, however, could have been further from the truth. For a start he had an overdraft of £800 the day he turned pro and he had also just been diagnosed with the cruel beginnings of ankylosing spondylitis, an arthritic condition of the spine. The fact is that right from the start, Michael King knew that as a top-flight player he was going to face the end sooner rather than later. This was not always true, or at least once it wasn’t. In the autumn of 1979 he finally got to make that speech when he won the impressively titled SOS Talisman TPC at Moor Park in Yorkshire to finish the year the fifth ranked player in Europe. The previous week he had played in the Ryder Cup in West Virginia. By the time his arthritis hit hard, he had been a member of the players’ committee and the Tour’s board of directors. Behind the Roger Moore image lurks a more serious and thoughtful man than he would ever wish you to know but the Tour hierarchy had indeed noticed this and so offered him a role that involved meeting and, as always, effortlessly charming potential sponsors. It is from this role that he has segued into his job at EGD and a position he now clearly loves. He still plays golf too. These games take place at Sunningdale, the club he first joined in 1968 and which offers him the sort of vaguely PG Wodehouse environment that he relishes. He joined as a young amateur because Gerald Micklem, the first gentleman of English amateur golf, told him it was a good idea. Not for the first time, Micklem was spot on. His hero was Jack Nicklaus and one of his biggest thrills came when he was paired with the great man over the opening rounds of the 1981 Open at St George’s. Unfortunarely their afternoon three-ball – Jumbo Ozaki made up the trio – hit the mother of all Channel storms that day. Nicklaus returned 81, Mike hit 82. When I bumped into him that evening he grimaced and said: “I’ve dreamt of beating Jack and on the one day he shoots over 80 I lose to him by one.” The following day saw Nicklaus shoot 65 to make the cut. Queenie missed out. Did I mention that Michael ‘Queenie’ King could charm for England? What is also true is that we won’t see his like again on the pro circuit, let alone feel that quality of cashmere. by Bill Elliott, Golf Monthly. Since a very successful cooperation with EGD in the Czech Republic during the design work and construction of Casa Serena, my professional relationship with Robin Hiseman, Jeremy Slessor and whole EGD group has developed into a warm, personal friendship. So, I was very happy to get the opportunity to come back to the office for a week again this year and meet the team. The previous visit was split into two parts, with office work experience and practical exercises on the golf course. As I come from a country without any coastline and where the golf tradition is short by comparison to the UK, my aim was to visit the classical heathland and links courses. This year, I was privileged to visit and play Swinley Forest and Hayling golf clubs, both of which were great playing experiences. I am proud also that my game, so deep in the winter, was good enough for me to shoot 77 at Swinley Forest! The usual match play competition with Robin was enriched with his very valuable golf course architectural observations. Robin´s focus on details, feeling for landscape and good will to share his golf architectural ideas during his work at Casa Serena started up my personal interest in golf course architecture. It has grown in time into a real passion for me. This time, I brought my current design project with me, to be reviewed by both Robin and Gary Johnston. Gary and Robin´s notes on the design strategy and technical details of the grading plan have been very helpful. I am currently working as a construction manager and site surveyor on golf developments in both the Czech and Slovak Republics. Thanks to my job I have the opportunity to combine my technical construction knowledge with the differing design styles and working methods of the golf architects, notably the quality of the drawings and the attention to detail during the construction site visit. Let me say that the overall quality and professionalism of EGD is top of the class! My week at EGD went too quickly, unfortunately, but the visit on Sunday, my last day, to the extraordinary Painswick Golf Club was a real cherry on the top of the cake. I have to thank to everyone at EGD for making me feel very welcome!